Easter is a big holiday for many of us, where we get together with family and enjoy a big Easter dinner. Easter is also leading us into spring. 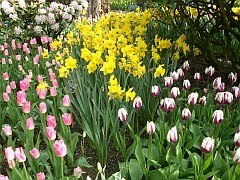 Flowers are already blooming here in Vancouver, and I’m sure it will come soon in the rest of Canada. Ham, roast chicken or turkey with stuffing, mashed potatoes and vegetables are traditional dishes for many people’s Easter dinner. But maybe you are wondering what wine(s) to serve? Before starting dinner you may want to consider something sparkling? An easy to sip wine would be an Italian prosecco or a Moscato. These wines tend to be quite reasonably priced. Mionetto Prosecco Frizzante, Emotivo Prosecco, or Batasiolo Moscato D’Asti are three Italian wines you may want to consider. For the main course, a roasted ham, if you are a red wine person, you could try a Pinot Noir or a Gamay (the most famous being Beaujolais). Serve slightly chilled. Here in North America, you could go with a Pinot Noir from British Columbia, such as the Quails Gate Okanagan Valley Pinot Noir. A Gamay such as Georges Duboeuf Brouilly, France would also be nice. The Gamay would also work with turkey. What if you prefer white wine? Then I would suggest a riesling. The Kettle Valley Winery Riesling 2008 (BC) has a bit of residual sugar with some apple, flower and citrus aromas, and apple with a bit of petrol flavours, or on the organic side, Kalala Organic Estate Winery Riesling 2008 also from BC. If you prefer a drier riesling, how about the Plantagenet Great Southern Riesling 2008 from Australia? Quite minerally. Light green and petrol aromas. Apple and citrus flavours. For roast chicken or turkey, there is Pinot Noir, as mentioned earlier. A lightly oaked Chardonnay would also work well. The oakiness and butteriness from some secondary malolactic ferementation would make the Chardonnay nice and round in your mouth to complement the richness of your roast chicken or turkey. If you would like to support Chilean wineries, after the earthquake, you may want to try the Carmen Nativa Vineyards Chardonnay (organic) or the Vina Errazuriz Wild Ferment Chardonnay from Chile. The Errazuriz Wild Ferment Chardonnay is always a winner for me. From my last tasting notes, I noted 100% barrel fermented in French oak for 9-10 months. 1/3 of wine goes through malolactic fermentation to add some extra body and butteriness. Full lemony colour. Lots of vanilla, caramel and tropical fruit on the nose. Very aromatic. Medium-full body, with tropical fruit and vanilla flavour. Has some acidity and slight spiciness to balance the creaminess. An excellent wine. 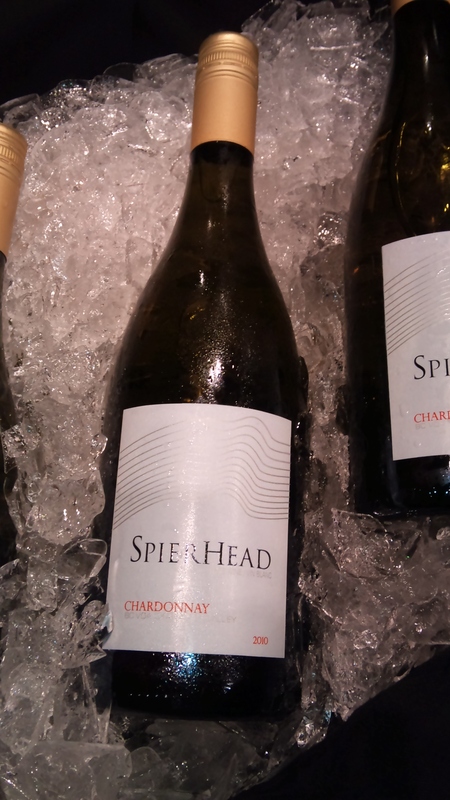 A BC selection would be Spierhead Winery Chardonnay 2010. Their chardonnay is creamy with lots of vanilla and tropical fruit aromas and flavours. Enjoy juicy fruit flavours in your mouth with medium acidity to keep it refreshing. I hope some of these wines give you ideas for what to serve with your Easter family meal. Enjoy!